It is Sunday, a day of rest, a day where we avoid the manual gearboxes and zoom-zoom handling and instead opt for a reclined driving experience. 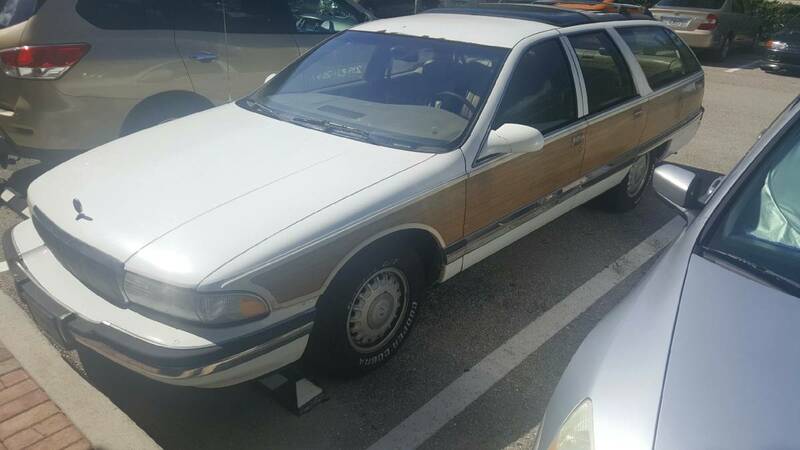 Like this 1996 Buick Roadmaster Estate Wagon offered for $500 in Ft Myers, FL via craigslist. Tip from Dascpcu. I shouldn't need to tell you why you want a Buick Roadmaster, but for a brief reminder, just click on this link and read up. TL;DR version -- LT1 V8 mated to a 4-speed slushbox with room for 8 human beings for cheap. Yeah. Wow, this would have won the Best $500 car from a few days ago!